Some thoughts and learning skill can change our lives and gives a reliable experience to explore more about the knowledge these things you can take the Industrial training in Jaipur. The main thing is that, which one is better to take the training by the company or institute. So, here we define you in this blog that why the companies are more than a better comparison to the training institute. You can consider the training companies to make a bright career in the upcoming days, month, year. Also, you can take the industrial training experience by the BR Brains Training company in Jaipur. Once you decide to get the industrial training, then always mind the gap the crucial thing about the courses according to demanded technology and development process based. The BR Brains provide you the best way to choose a career path particular one field. This company designs each of the sectors in a good manner for learning and teaching purpose. It provides the best education system according to develop a professional career. So, you can come here to take the advanced level of training experience in the best company for industrial training in Jaipur which is really helpful to accommodate job offer. These benefits are really impressive which you can get in the training company and get the perfect, knowledge-based industrial training in a professional manner according to MNCs work. The professional word gives you a decent and unique identity in your career lives. You can embrace it by getting an industrial training in the company where you can feel proud to become a professional after getting the training. The training institute provides training in a group of students where students can not increase personality development skills along with training. If we talk about training company, the training companies have the professional trainers in the various development field basis, who have a level of professionalism and provides a good effect during the training of the students. Every student wants to work on the live project. So that they learn and understand the concept of actual work and development language work scenario. But, due to lots of students and limited time in training institute they cannot learn and practice on the live project technology, that’s why the training companies provide the best source of learning and practical where students can work on the live project under the expert trainer team. Also, they can explore more about the technology and work knowledge. At the present time the job taking is not easier in the entire world, especially after the graduation, but don’t worry, you can get the job opportunity after the industrial training. 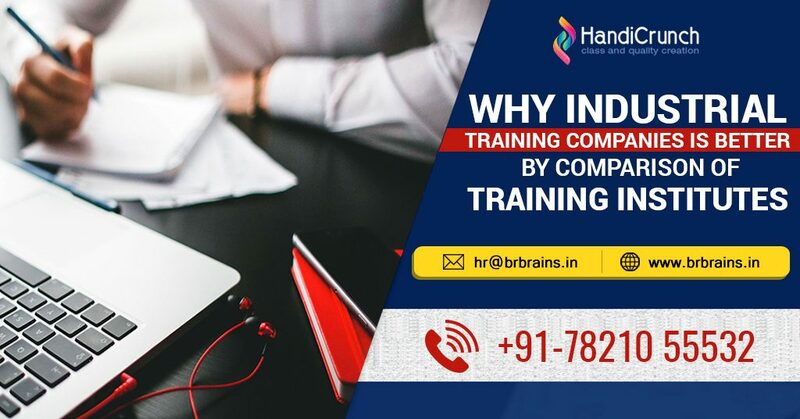 The BR Brains training company provides you job surety after the training where you can get the job offer in MNC’s, startup and mid level companies. So, don’t be wasted, your time looking for another opportunity and company you can reserve the seats of industrial training in Jaipur. With the help of these courses, you can increase your level of software and application development. It is really helpful to choose a career guidance in any development stream.